With roaming charges having just come down and coming down further in 2017 its time to look at apps that may be useful when motor homing. Of course if your fortunate enough to have a provider that doesn't charge roaming charges right now then what are you waiting for? There are lots of apps out there, some free and some just a small amount of money.There are of course some which are expensive and not worth it and others which are just not very good. I have avoided ones that cost more than a modest amount. There are apps for camping in specific countries but the ones listed below are of more general interest. 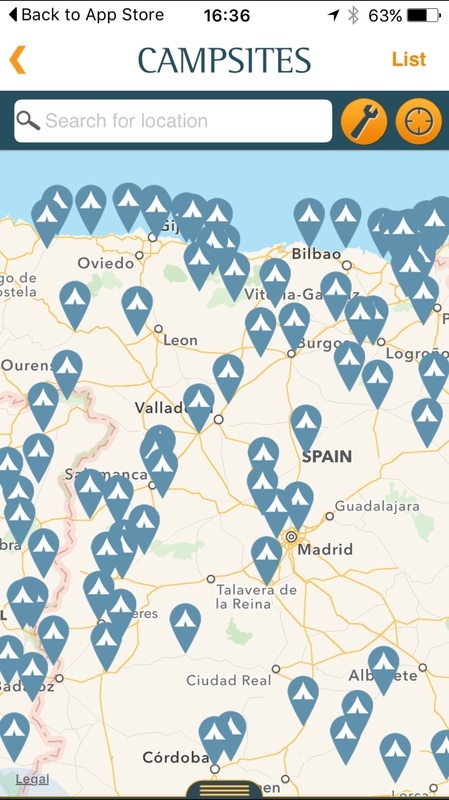 ​Many of these apps just give you some detail about nearby campsites - the advantage of these apps is that the info is probably updated regularly and your tablet or smart phone is going to be a lot lighter than carrying around several campsite books which of course go out of date and cost a lot more too. These apps are available from the Google Playstore and the Apple store. I've concentrated on resources which may be useful when touring Europe so have not referred to UK based resources like Caravan Club,Caravanning and Camping Club or the AA Caravan and Camping Guide but these are available free too. 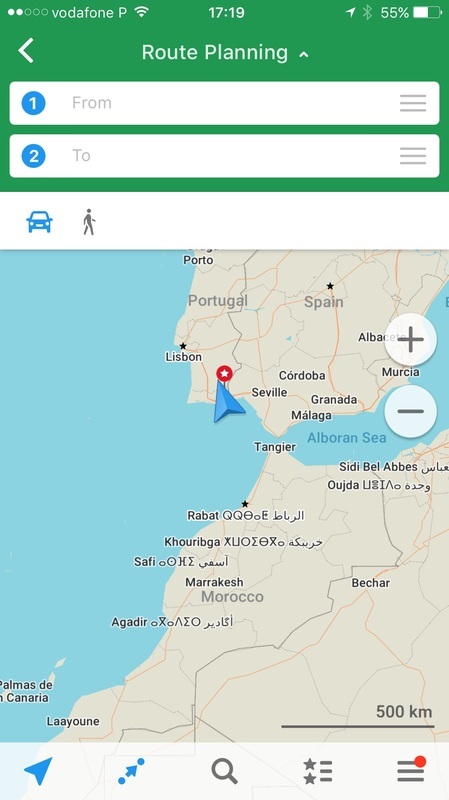 The lite version shows you campsites in Europe and Morocco but to look closer you have to buy the full version which is £4.49 and well worth it. Plenty of reviews which are categorised according to the language written. This is a French site but I think you can select English. It helps you find nearby places to park- whether just for the day for lunch, a spot of sightseeing or overnight. 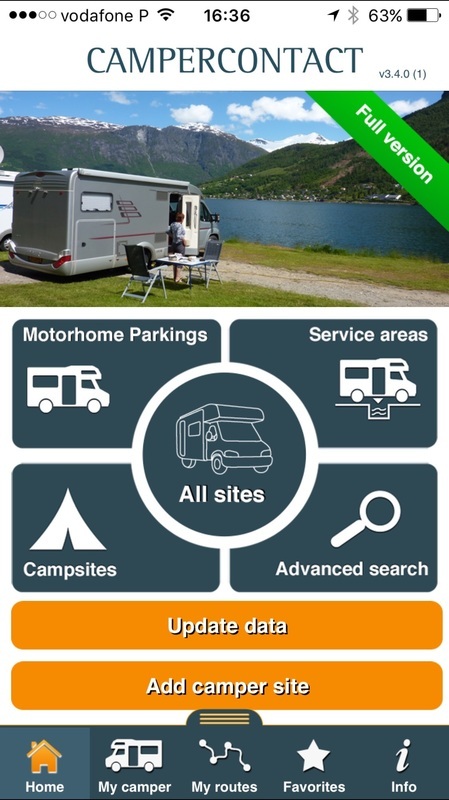 You can do a quick search for a paying site, a service area without parking or free parking for a motorhome. This app offers you info on 8500 campsites around euriope and you can do this offline once you have downloaded the app. For such a huge amount of info you do have to pay an annual subscription If you want the whole of Europe you pay £9.99 but if you just wanted info for a trip to France its £2.99 and for Portugal & Spain its £1.49. Download maps for a particular region and then access the map while offline. 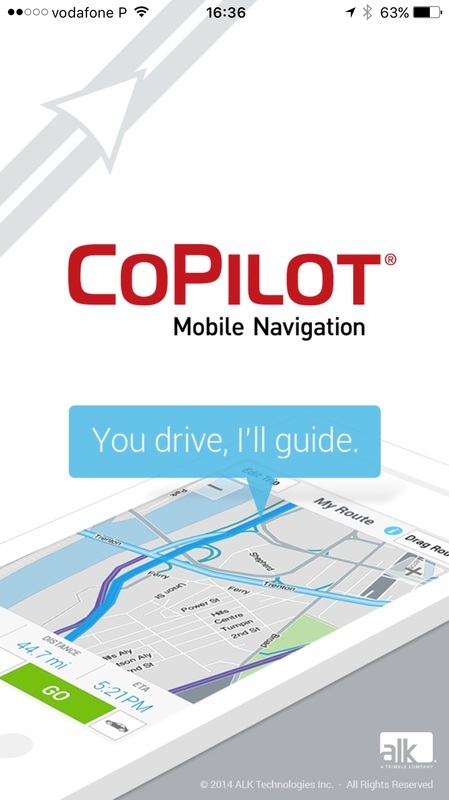 This is another app that lets you download a map and then access it even if you're off line. You can download one area map for free and then you pay for any others. You can use it like a satnav but if you want the nice lady to talk to you then you have to pay. Next time I will deal with the translation apps available.